All too often, people that own young parrots wake up to find that their sweet baby bird has turned into a lunging, biting, aggressive little monster! If this sounds like your feathered friend, then don't give up hope -- many birds exhibit this sort of behavior during adolescence. It's called the "bluffing" stage, and while many parrots go through it, a few species -- most notably Indian Ringneck Parakeets, Senegal Parrots, and Macaws -- are more prone to bluffing behavior than others. The hallmarks of bluffing are lunging, nipping, biting, hissing, and a general resistance to interaction. Birds can enter into this stage seemingly overnight, and generally when they are between the ages of 4 months and one year. 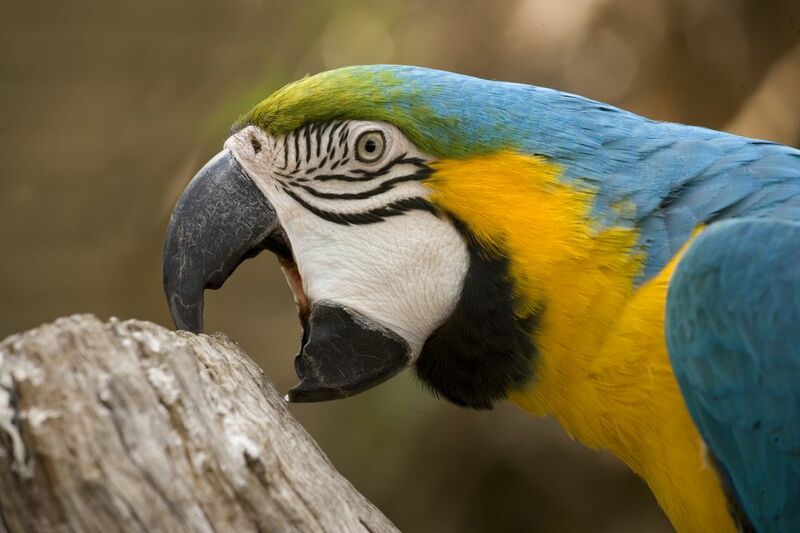 No one knows for sure exactly why some parrots go through the bluffing stage, but many speculate that it is due to hormonal changes that take place as the bird changes from a juvenile into an adult. While it can be easy to shy away from a bluffing parrot, that is not necessarily the best route to take. Many new bird owners make the grave mistake of keeping their birds confined when they are bluffing, an action that only serves to make a parrot even more withdrawn and antisocial. Never scream at the bird. It will only encourage his undesirable behavior, as birds do not see loud vocalizations as negative. Try not to pull away from bites. This can be hard to do, especially since those beaks can be so painful, but if you can keep your cool and actually push into a bite rather than jerk away from it, the parrot will soon learn that biting gets him nowhere. Never strike at your bird. Aside from being extremely dangerous, it is pointless as the bird cannot see this behavior as a consequence of his actions. Patience is a virtue when dealing with a bluffing bird. Depending on the individual, the bluffing stage can last anywhere from a couple of weeks to a few months. With plenty of work and positive reinforcement, however, you will find that your angry little bird will eventually be nice again -- and it will be worth all the aches and pains that come with avian adolescence!